Marblehead Fire Capt. 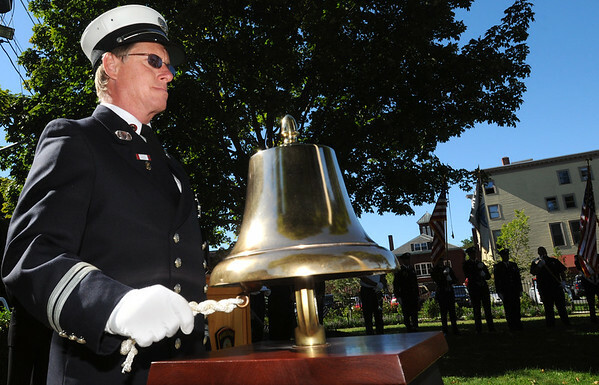 Michael Porter rings the fire bell at the remembrance ceremony to commemorate the 11-year anniversary of the Sept. 11, 2001, terrorist attacks. The ceremony was held at Memorial Park.